As some of you may have read yesterday in my review of this book, I loved it. Absolutely and completely. So I bought two extra copies and I want to give them to you my dear readers. I want to spread the story of Autumn and Finn. 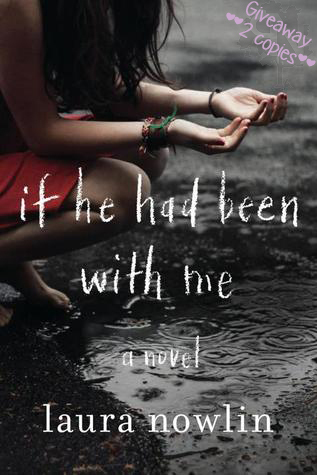 So simply Enter Here and you will have a chance to win one of 2 copies of this lovely novel. There will also be some swag to go with it...I'll post more about that later. The giveaway is open to anyone on Earth and will run until the last day of May. For an extra entry please answer below with the title of the last book that made you cry or (for those of you too tough to cry) the last story that you fell in love with completely. Hmmmmmmmm I sobbed at Before I Fall. Really really sobbed.